Note: File upload fields acquired many new features in Caldera Forms 1.2.3. Not all features described here are available in earlier versions of Caldera Forms. 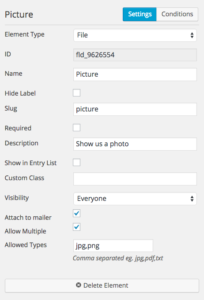 File upload fields allow your users to add one or more files. Multiple uploads can be enabled with the Allow Multiple option. 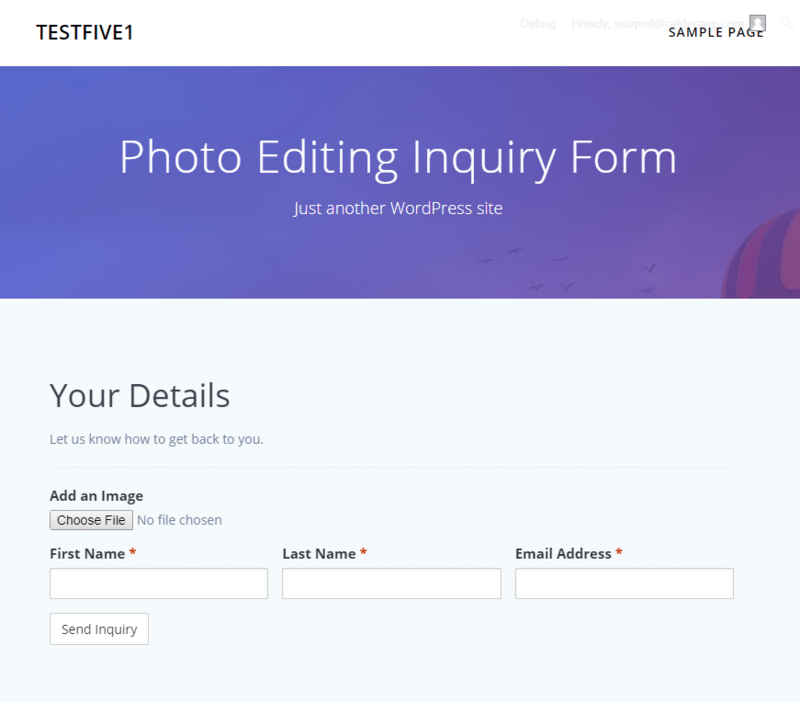 These files become attachments in the WordPress media library if the Add To Media Library option is checked. You can optionally be attached to emails sent with the Caldera Forms mailer. Attaching to emails is enabled with the Attach To Mailer option. If your form allows public submissions, care should be used with what file types are allowed. Allowed extensions can be entered into the Allowed Types option field, as a comma separated list of allowed extensions. For example, “jpg,png,gif” would limit to images of those types, while “pdf” would only allow PDFs. For information on how the uploads work, including saving or not saving files on your server, please see this page. 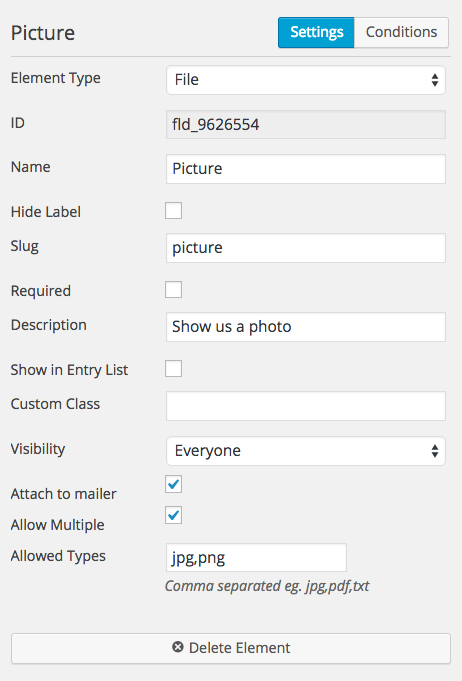 Native file upload fields are impossible to add custom CSS to. Also, while they do handle multiple file uploads, their handling off multiple files is not graceful. With a regular file field that is set to accept multiple files, all files must be added using the same file upload window, which is not good. These limitations can be avoided by switching to an Advanced File Upload Field.